Ok, we need to talk about neutrals today. 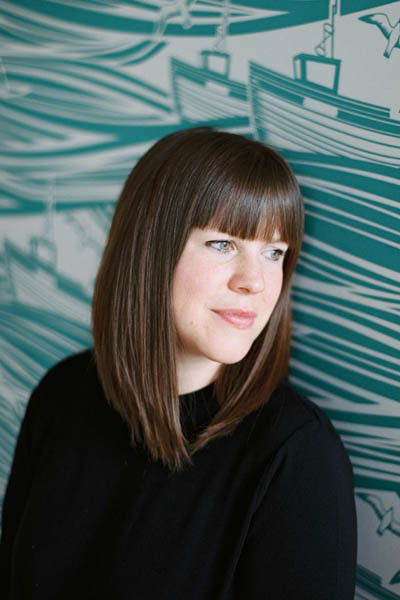 I’ve been thinking about colour a lot recently because I feel that my flat has become a home of two halves after recent room makeovers: the bedroom and office are neutral with pastel accents whilst the living room is filled with quite deep, intense colours. I don’t like the divide so I want to try to make the kitchen and living room more in line with the bedroom and office. Firstly, I have decided to make my kitchen completely neutral with a few blue accents as I have loads of blue and white china. 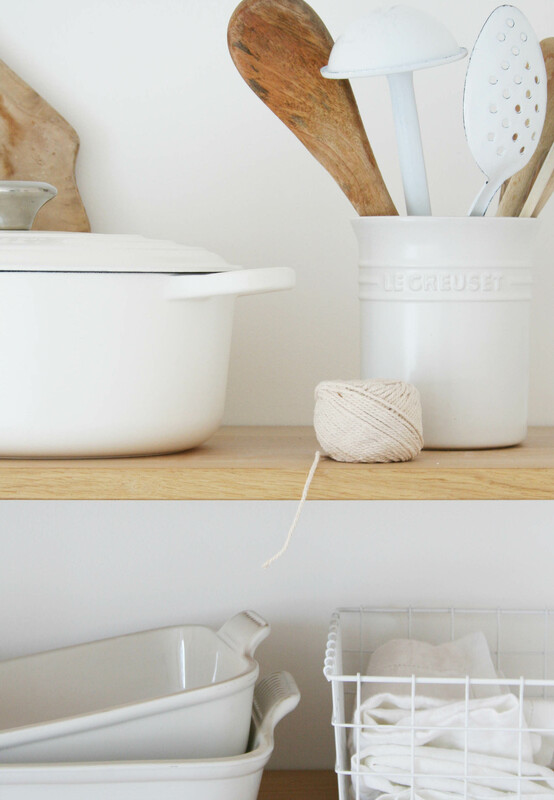 The inspiration behind my neutral colour scheme started with my new collection of Cotton white Le Creuset from Houseology. I am head over heels in love with Le Creuset but I have always held back from starting a collection because the bright colours didn’t do it for me and once you start collecting one colour what happens if you change your mind?!! The white is perfect for those people who love neutrals and those people who want it to fit in with a colourful kitchen, too. 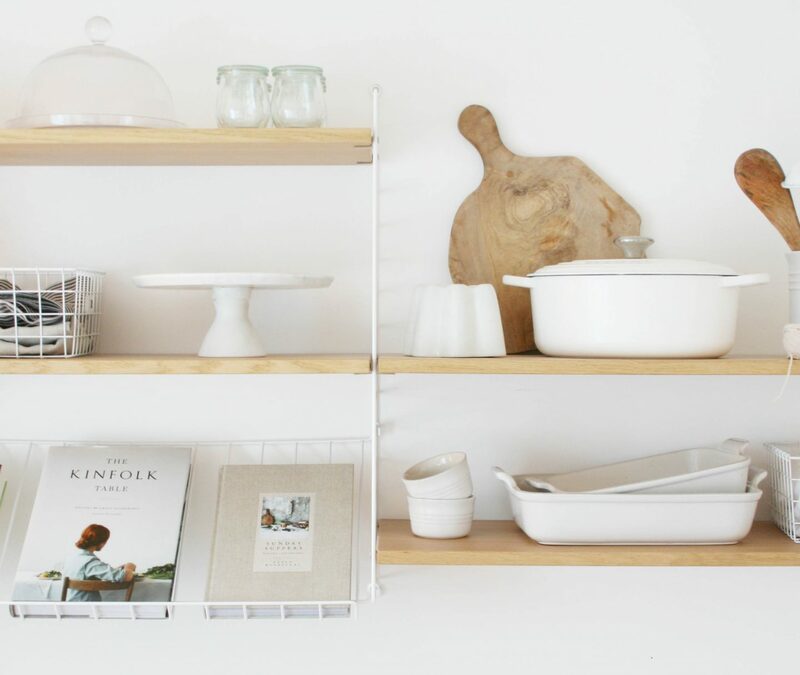 Cotton Le Cresuet casserole dish (top shelf, left), utensil holder (top shelf, right) and baking dishes (bottom shelf, left) from Houseology. It’s funny, I’ve always thought neutral colours weren’t for me – you know, beige and boring and all that? However, I’ve recently noticed that one of my very favourite Instagram accounts (that you can see here) is based on a beautiful home filled to the brim with neutrals. Turns out, I love them. It also turns out that they don’t have to be boring or blah. Texture when integrating lots of neutrals in to your home is key. You want to add raw woods, glassware, ceramics, stoneware, baskets, enamelware and linens. The more texture the better as this draws the eye around the styling and adds interest and a variety of colour. Intersperse your styling with a few darker items (grey is always a good option) or even another colour. This will add enough contrast to ensure your neutrals don’t all merge into one another. Combine new and old in your styling as the age and interest of the vintage pieces will attract attention and create more contrast amongst the neutrals. I’ve been playing around with some of my kitchen pieces that I want to go on my open shelving (yup, I am definitely going for open shelving after my umming and ahhing, thank you to everyone who commented and helped me with the decision). You might think I am ever so slightly bonkers but I spent Friday night – yes, Friday night – removing stuff from my home office string shelving and then pretending they were my new kitchen open shelves and experimenting with styling neutrals trying to follow my own advice above. What do you think? I am now really looking forward to ripping down the wall cupboards in the kitchen and getting some shelves up! 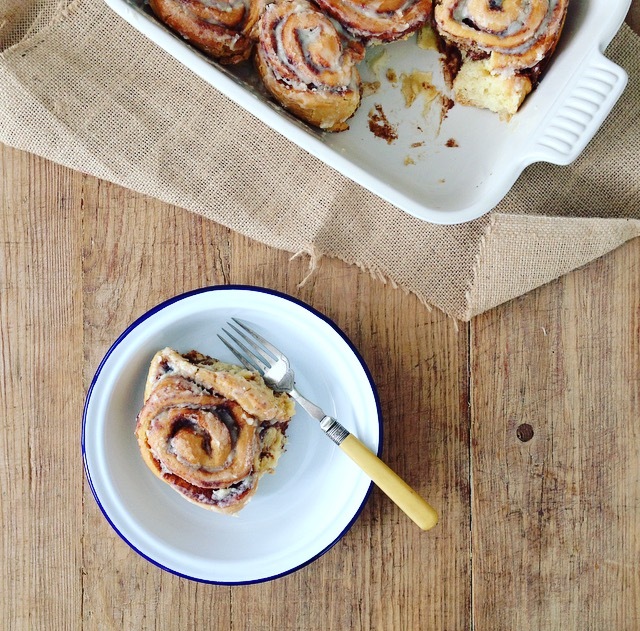 The first thing I decided to cook in my Le Creuset baking dish were these cinnamon buns to take to brunch at the weekend. Would you think I was even more bonkers if I told you I chose this recipe especially so I could play around with styling neutrals?! Bonkers, I tell you. 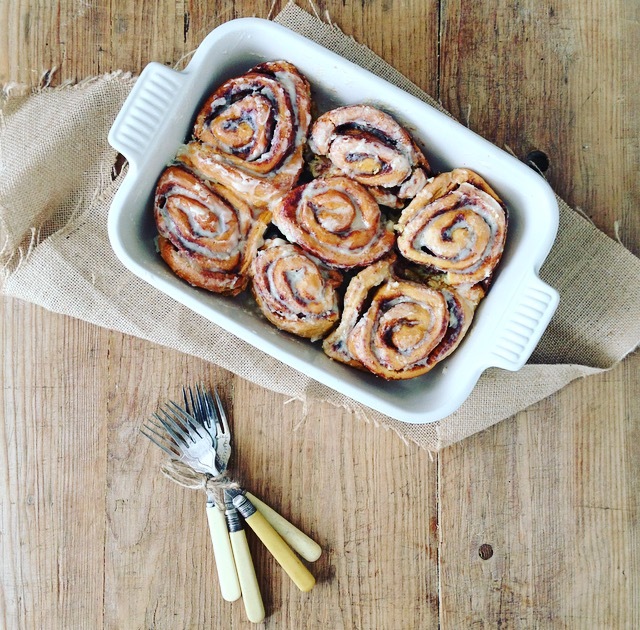 Cinnamon buns in Le Creuset baking dish. Pop over here for the bun recipe. Beat the cream cheese and butter together. Mix in the vanilla and milk and then gradually add the sugar and salt until smooth. I pour it on whilst the buns are still warm so it kind of melts into them and will therefore keep them moist. However, you can wait until they are completely cold. Do you love Le Creuset as much as I do? What colour would you go for? *This post was written in collaboration with Houseology. Great post, but then I would say that as I love EVERYTHING White. Love the white le Creuset have been lusting after it since I saw it in John Lewis. Great tips Katy! I’ve always liked the idea of Le Creuset too but like you wasn’t so keen on those bright colours. This new collection looks lovely though. And I could totally do with a cinnamon bun this morning! They look delicious! Such a useful post. We’ve just moved into our first home and I’ve been desperately trying to figure out what doesn’t look right in our kitchen. I kind of thought everything just had to be the same colour and hadn’t thought about using different textures and thinking about it our house looks so ‘flat’ if you know what I mean. Ok, more work to do then adding texture! Thanks for enlightening me as to what the problem was. WHAT?! No one told me that Le Cresuset now comes in white, I love it! And your styling looks awesome so can you come and fix up my kitchen shelves for me? Pretty please!! Lovely neutrals, nice styling tips, le Creuset dishes are great aren’t they? Love white accessories in the kitchen, it looks great teamed with other textures like wood, marble, metals and glassware, it’s effortlessly stylish and timeless. Your le creuset pieces are fab, I want all of them!